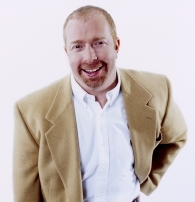 I have lived in Whatcom County in the same home with my partner of 25 years and our family of 9 golden retrievers which you can see at www.chuckanutretrievers.com I have 13 years experience as a Realtor and have helped many gay men and women find their dream home. Give me a shout, I’d love to show you arouind this beautiful city. Residential Single Family; New Construction and Resale + Condominiums, Townhomes and Loft Living! Primary Residence and Vaction + Second Homes. 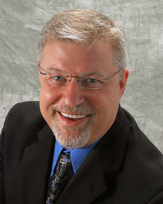 When you need a seasoned professional with decades of experience, Mike is the logical choice. He has an office full of sales awards but what makes him successful is his dedication and ability to always get the job done. His knowledge of the market in single family homes, condos, multi-unit buildings, and rentals in the entire Chicagoland region is unmatched. He even wrote the book on Chicago real estate, published in 2010, “Where Chicagoans Live”. Ask for a copy! If you’re tired of the big name franchises that pepper you with fees and garbage paperwork, so is Mike. That’s why he opened his own brokerage almost a decade ago and has come through this terrible market with flying colors. If you are concerned about financing, not to worry either. Mike has years of experience in credit counseling and can help prepare you for a purchase even if you aren’t quite ready to buy today. You’ve been saving your pennies for a down payment and watching the housing market news. You see the low interest rates, are confident you’ll own a property for at least five years and know that you’ll be able to find a home that you’ll love within your budget. You’re finally ready to buy a home in 2013! 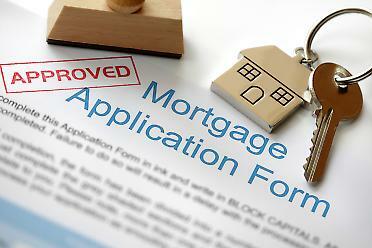 First up is going to a bank, direct lender, credit union or mortgage broker to get qualified for a loan. They will run the numbers to set your price range for financing. This will help you in working with a real estate sales professional to determine which areas and types of properties fit within your budget. The lender will also pull a credit report to see if you need to be aware of any credit issues. If necessary, this will give you time to start improving your credit picture to make you the most creditworthy you can be when it comes time to lock your loan rate and terms. You also should look for a real estate agent whom you feel can best represent you. Talk to friends and acquaintances for referrals, and interview at least three agents. Find out how many properties they’ve sold in the past few years, what training they have and whether they work as an agent full time and know the areas where you would like to purchase. Get some references from each one and actually take the time to call those references and see what they thought of the real estate professional’s service level and experience. This will most likely be your most complicated, expensive and riskiest purchase of your life. You should talk to friends, family members and possibly a lawyer; read books, articles or take a class. In other words, do everything you can to better understand the real estate buying process and how to make the best home purchase decision. Consider all the neighborhoods that fit in your price range. Drive them during the day, at night and on the weekend to get a feel for the areas. Look at the neighbors’ properties, any retail spaces nearby and check online neighborhood ratings, crime reports and school ratings. Learn all you can about where you are going to be a real estate owner. With a price range from your lender, a good real estate sales professional on your side and a solid education on buying a home and the areas where you want to buy, you’re now better prepared to make 2013 the year of the home purchase. Pending home sales, a measure of home contract signings, shot up in the month of November, reaching its highest level on record in two-and-a-half years, the National Association of Realtors said. It’s also the third consecutive month of sales increases. The NAR Pending Home Sales Index doesn’t measure home closings, but it does function as a forward-looking indicator by studying real estate contracts signed in order to gauge future closing levels. The index rose 1.7% to 106.4 in November, up from 104.6 in October and is 9.8% above an index score of 96.9 last year. The index is at its highest level since reaching a score of 111.3 in April 2010, according to NAR. At the time, the nation’s housing market was still experiencing a sales rush from the homebuyer-tax credit. The last time the housing market was healthy without stimulus was February 2007, NAR added. The new year is expected to bring about a brighter housing market, thanks to an improving job market and record-breaking mortgage rates. Home values are moving up across the country. For example, Phoenix has seen home prices soar 21.7 percent this year. The National Association of REALTORS® reported last week that previously owned home sales increased 5.9 percent in November compared with October and sales were up 14.5 percent year-over-year. Helping to contribute to the rise in home prices is the decline in for-sale inventories. Inventories in November were at the lowest level since December 2001 at 4.8 months of supply. Meanwhile, sales of new homes posted at their highest pace in two years in November and median sales prices inched higher to $246,200 compared to $237,500 in October. However, IHS Global Insight is forecasting that new-home sales still have a long way to recover and likely will not return to normal sales levels until 2015. Fixed-rate mortgages ended the year by hovering near record-breaking lows and keeping home buyer affordability high, Freddie Mac reports in its weekly mortgage market survey. 30-year fixed-rate mortgages: averaged 3.35 percent, with an average 0.7 point, dropping from last week’s 3.37 percent average. The record low for 30-year mortgages is 3.31 percent, which was set in November. A year ago at this time, 30-year rates averaged 3.95 percent. 15-year fixed-rate mortgages: averaged 2.65 percent, with an average 0.7 point, holding the same average as last week. The record low for 15-year mortgages is 2.63 percent, also set in November. Last year at this time, 15-year rates averaged 3.24 percent. 5-year adjustable-rate mortgages: averaged 2.70 percent, with an average 0.7 point, dropping from last week’s 2.71 percent average. Last year at this time, 5-year ARMs averaged 2.88 percent. 1-year ARMs: averaged 2.56 percent, with an average 0.5 point, rising from last week’s 2.52 percent average. A year ago, 5-year ARMs averaged 2.78 percent. The origination of Feng Shui is, unsurprisingly, from the far reaches of China more than two millenniums ago where its primary use was to ward off bad luck. Unlike most eastern spiritual processes, gay realtor reports Feng Shui has been adopted in western culture as well in a manner mixing both the essentiality of good luck with traditional ambiance. Feng Shui in its core is simply put as a fine way to decorate your house for those more organized minded rather than those dazzling with flamboyant creativity and for the interested dabbler curious to try something new. The importance of Feng Shui in an individual’s home is divided into three important aspects, core values, rules in due process, and the extent. Feng Shui untouched or stripped by time is at its core an extended spirituality. It is a belief system that instead of being practiced inside of a holy place of worship it is instead a more subdued, personal sort. The Chinese believe that Feng Shui is to help an individual better in personal health, personal wealth, and personal relations. The belief is that the Chi, the surrounding aura and energy, of placing and organizing certain objects and furniture in an order, brings about happiness to those nearby. These objects and/or pieces of furniture function as a representation of elements. For example, a table is wood, a small bonsai is earth, and perhaps a television would represent the element of metal/steel. The mastering of your homes Chi, lies in mastering the ability to harness the luck and balance of the elements surrounding you. A certain organization may aim to create a blanket of division between loneliness and neglect with liveliness and companionship while other such organizations may create a hope of healthier days. The rules of Feng Shui were at first created with the use of an object called the Elemental Compass. This compass connected certain directions with elements and decided which objects in which order created the best environment for success and happiness. This process is called Feng Shui Bagua. Alternatively known, bagua means eight areas, the spaces in which the elements fill on the compass including northwest, south east, etc. In more complex compasses, some of them match the element, the direction, the color of said objects, and titles next to the matching luck evoked by following the terms set. 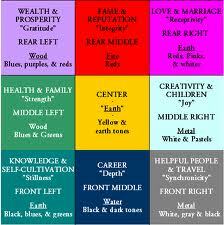 For example, north is fire ~ increases prosperity, and the best color for use is red, dark or light. The lighter shade of red it becomes the more east it becomes. Pink colors are to be set northeast, create better luck in your relationship, and represent earth; while northwest is purple representing better wealth and the wood element. The extent in which you follow the rules are completely up to you. Nowadays, there is a much simpler; stripped down version of Feng Shui for those not interested in following the precise slight obscurities of the traditional measures according to gay realtor. The westernized version of Feng Shui compass is organized as a square with three by three smaller squares inside. Instead of bagua there are nine corners, the nine corners start at the top of their square as white while leading down to darker versions of the same color. As one square ends and becomes another square the new color begins with a fading to white and then the new representative color begins. The top three is the same as the North West, north, and northeast of the Bagua compass respectively, purple, red, and pink. The noticeable difference in which the ninth corner appears is the idea of center. The center exists on the original bagua but the importance of moving from the beginning to the end, success, is primarily a goal in the western version. The Chinese traditional values import the idea of there always being a beginning and truly never an end. If the aim is to Feng Shui your house, gay realtor suggests it is not something that someone can decidedly tell you. It is something that you as the owner decide on. Suggestions such as; a bonsai tree, television, colored carpets, etc. are of course up to you, but the importance of following the process, traditional or not, is the goal. The freedom of choice is in the hand of the owner to keep honesty and truth to strengthen the Chi of your home. The Department of Housing and Urban Development announced it will no longer be selling foreclosed homes to a land bank for $100 each because it believes the homes could get far more by selling them on the open market, The Plain Dealer reports. HUD’s National First Look Program was an effort to fight neighborhood blight in the city by allowing the Cuyahoga County Land Bank to acquire foreclosed properties and rehab or demolish them. The land bank, formed in 2009, had acquired about 850 properties and rehabbed about one-third of the homes. “But the agency can no longer afford this arrangement and will resume selling its Cuyahoga County properties to speculators and others on the open market,” the Cleveland newspaper reports. Brian Sullivan, HUD spokesman, says the housing market is recovering and HUD is likely able to recover more from its foreclosed homes than by selling them to land banks for such a low amount. HUD is committed to “helping combat and reverse the effects of neighborhood decline,” Sullivan says. But, he adds, HUD also needs to raise more funds for the Federal Housing Administration’s Mutual Mortgage Insurance Fund, which faces a $16.3 billion deficit. “Making clients for life” 29 years your Realtor ~ Established in 1987, RE/MAX of Indiana has steadily grown to become one of the state’s most trusted and proven real estate organizations. Bloomington prides itself in a very gay friendly place to live, let me show you the area. REALTOR ~ Member of the National Association of REALTORS® and subscribe to its strict Code of Ethics. In the absence of significant economic data or market movement, and in the presence of more economic and policy confusion than ever in my lifetime among civilians and professionals alike — here an early jump on prospects for the new year. All optimistic outlooks have housing as the primary ingredient, which is true as far as obvious thinking goes. We have all-time low rates and affordability, and the pig of distressed resales is departing the python in tidy bacon slices, not a mass, and slowly. However, in simple math, to get to a higher level of sales and prices will require growth in aggregate mortgage balances. Instead they are shrinking, the Fannie-Freddie conservator standing on that hose. And now the FHA faces an existential battle, to be punished for lending when no one else would, and suffering losses now. When we see the mortgage supply rising, then housing will be able to lead. Until then, we have a problem traditional at this season: Santa is stuck in the chimney. Then we have the Fed’s epic new promise to buy $1 trillion-worth of Treasurys and mortgage-backed securities next year. Some worry that a flood of cash will trigger inflation, or new bubble-buying of stocks, or pigs, or some other damned thing. However, in a recurrent theme looking forward, Fed cash cannot enter the real economy until the financial system uses it to make loans. Not. Until then the best the Fed can do is to hold down rates. “Dear, did you say something?” No, but I thought I heard a funny noise over by the fireplace. Another line of hope goes to the consumer. Indomitable. Resilient. Deleveraged. I would love to believe that, but the average household is still tapped out. Median income for a family of four has fallen 10 percent in the last five years. Too much net worth was lost in the housing fizzle, health insurance premiums and tuition have defied gravity, and so households desperately need increased income. But that increased income depends on a rising economy, which depends on the, ummm… consumer? Europe announces to itself weekly that the worst is over. That its economy will begin to recover next year. That it is taking very meaningful steps toward unified action although these measures will require some additional negotiation, treaty re-ratification, and rather a lot of someone else’s money. The Cliff, about which so many seem so preoccupied… put it aside. On Dec. 31 the Cliff will or won’t, but this Cliff is just the first in a series ahead. Either Obama’s soak-‘em or Boehner’s cut-‘em at maximum would result in an annual deficit reduction of about $130 billion — in an annual deficit of $1 trillion. The weird part about the Cliff adjustments ahead is the disappearing money. Tax increases are routine, but usually result in increased spending. First have no doubt that these are tax increases, not merely ending a tax cut: the Bush brackets have been law longer than the Clinton ones were. Nor believe that the rich will pay “a little bit more,” or will not feel the bite — $100 billion a year is real dough, as will be the next two similar hikes via tax reform. The bite is clear, but the odd part is hidden: New tax money will replace money presently being borrowed, and spending will decline simultaneously in any semi-balanced deal. This family drama is perfectly human. We have never been in this situation before, and our puzzlement at what might be the matter — and what to do — is appropriate. However, I do wish those in authority this holiday season would rent the movie Christmas Vacation, and study the scene in which Clark Griswold can’t figure out why his lights won’t come on and stay on. Some of this is hard, but some is not. Gold is up to something. Or going down to it. This chart has not updated to show today’s drop to $1,644; although there is considerable support at $1,600, it is now a lousy set of technicals. How lousy? Look at the longer-term chart, next one below. Hyperbolae tend not to end well.